“The UAE’s President His Highness Sheikh Khalifa bin Zayed Al Nahyan has declared 2017 as the Year of Giving. Melltoo Marketplace embraces the vision of our national leaders and looks forward to Ramadan 2017 as an opportunity to start making an impact on society. We invite you to join us in giving back and helping those those among us in need. 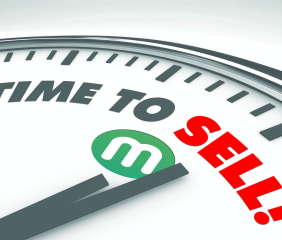 List your pre-owned items to sell. Make the world a more sustainable place by re-selling your stuff. We will sell your stuff for you. We will promote your items to buyers, pick up and deliver your items as well as transfer your money to you. Make a difference in someone’s life. Melltoo will donate 1% of all sales proceeds during Ramadan 2017 to provide food for the needy with the help of Emirates Red Crescent. Remember, every action, no matter how small, counts. Start selling now. Download our app and list your items immediately via melltoo.me/downloadapp (this link will take to your phone’s app store). As with every year, we will glad to have our buyers continuously shop on our app to save money while reducing the need to produce more and increase waste. During the entire month of Ramadan, earn free credit daily (up to AED 500) with us and buy preloved electronics, fashion, and more for you and your family. Earn credit for correct answers. The answer to each trivia question is a promocode that earns you credit to spend. Spend your credit when you want. Accumulate credit and spend it when you want to purchase pre owned electronics, fashion, and home items (Terms and Conditions apply). You can only play this guessing game and use the promo codes on the mobile applications. Remember, every time you buy something, 1% of the sales proceeds will be donated to Emirates Red Crescent. Help us give back to society. Join us and together we will make a difference. If you want to read about Melltoo’s vision and plan to contribute to the UAE’s sustainability efforts and goal to reduce waste, read our latest blog post: Melltoo Manifesto, Vision and Values. In the UAE, everyone has something to sell. In this series, the Melltoo team will highlight amazing preloved items from people all over the UAE. They are your neightboors, your friends, your colleagues. Each month we will profile 10 of you and promote your great deals to our community of over 100,000 users. All colors available! Over 500 pairs available…Lovely for a Beach wedding, beach parties or a gift! Handmade from South Africa with glass beads! 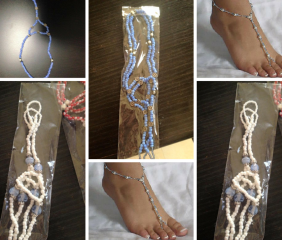 Barefoot sandals are handmade from South Africa using glass beads imported from Singapore. They make the final touch to that brides maid dress or cute bikini! Each design and color scheme is carefully picked to match any kind of style and occasion! When you look past the iDrive and price, what a vehicle. Nothing this big I have ever driven handles as well as the X5. The interior is timeless and the exterior is just enough the combo of aggressiveness/luxury. I have the 4.8i with the big v8. Talk about ballsy, this thing gets up and goes, however I do not drive it hard as I am concerned for the price of gas. I will say that if you are genuinely considering buying one, you must have the money for maintenance (regardless of warranty or not) someone financially unstable should not even think of buying this SUV. The oil changes, tires WILL bite your wallet at some point. I have not found the rattling for rear gate, its bothering me..bad. 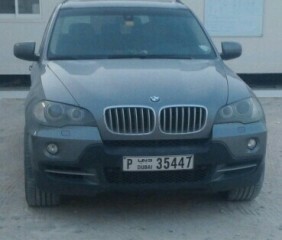 I must say the 2009 BMW X5 3.0i x-drive is a joy to drive its not a m5 but it’s perfect for everyday use. The cabin is very comfortable and build quality and materials are of the highest quality the brakes are very good and drives very tight. It gives you the room you need to move the family around with out losing performance and style. Build quality and reliability is as good as it gets. Beautiful and design bed sofa. New no open. Size 2.6×1.6m and the bed size 1.4×2.0m. With delivery and assembly. 20 led color. beautiful and new design Morocco sofa. High quality. Size 3.6×3.6m or 4.8×2.4m. beautiful sofa bed Morocco with assembly and delivery. Only one in stock. Size 3x3m. Sofa bed Lato size 2.5×2.5m. with delivery and assembly. All sofa Made in Europe. WHY ARE YOU SELLING THESE TIEMS? We realized that if sofa type does not exist on the UAE market and that there was a strong customer demand for such products. WHY DO YOU THINK THEY ARE GREAT DEALS? 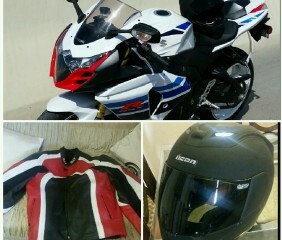 Had the L4 for about 3 months now having riden the GSXR 750 for 4 years. Love the power and torque of the 1000 and having Big piston forks and Brembo brakes it has the front end the 750 always needed. Doesn’t have traction control or ABS etc. but I feel it really desen’t need it, amazing value for money, recommended. Getting a good night’s sleep is the key to being happy and healthy, but who said you couldn’t be happy and healthy in style? 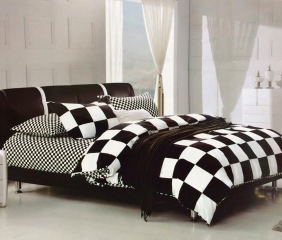 Our user Bharti from Sharjah is selling beautiful king size 3D cotton sets that include a flat bed sheet, 4 pillow covers and 1 duvet cover all for only 160dhs! Get in touch with Bharti today and never miss out on a good night’s sleep again. Kingsize 3D cotton bedsheet including: 1 flat bedsheet 4 pillow cover 1 duvet cover. Many designs available. 3-Seater Leather Sofa, made with Original Leather, Easy to clean and maintain. Branded GUCCI Watch for Sale. Slight Scratches on the band but mostly not visible. Just selling because I am about to relocate and selling the stuff which I do not require to ease up my shifting. its a great deal because the items are in absolute perfect condition, they are hardly used, and selling price is less than half of the original price. Anyone who has kids knows how quickly they grow, especially in their first few years of life. Buying new clothes every year can get expensive, unless you’re buying them second hand! Most second hand kids’ clothes in the UAE are in great condition, because they have only been worn a dozen times. Want to save save money, but still give your children the best? Buy second hand and start getting great deals today! 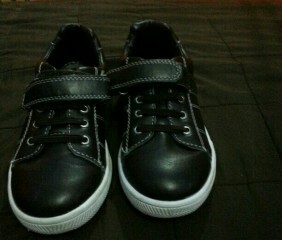 Start your preloved clothes shopping spree by buying Hayouta’s black shoes for boys for only 40dhs! I NEVER…EVER….thought I was going to enjoy having a small car. I got the Exclaim model and it is so much fun!!!! The interior is so pretty and functional. My kids simply love it too. I simply cannot express how happy I am with the ride and everything about it even though I don’t think the exterior is that appealing, but it is growing on me each day. Very very satisfied!!!! I have been driving Sebring convertibles for the last 10 years or so, the most recent of which is a hardtop convertible. Because Chrysler isn’t making those any more I want a little car I could put lots of miles on and save the convertible for summers. The Kia Soul turns out to be alot more than I hoped for. Drives smoothly, great sound system and love, love the backup camera. It’s a head turner, too. People go out of their way to tell me how good looking it is (mine is black & looks sharp). And the speaker lights which change colors fascinate my grandsons. A great find, even for a baby boomer like me. Fell in love with this car the first time I saw it on the street. Did the research, decided we wanted the 2012 in Alien green, and went looking for it at all the Kia dealers. Found the exact car, the mileage was low, the price was right, so we bought it. A month later we are loving it. 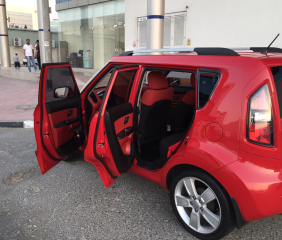 It’s a relatively quiet, comfortable ride, handles beautifully and is just so COOL!